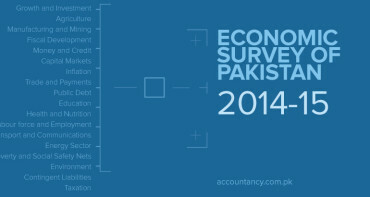 KARACHI (September 22 2003): The Government of Pakistan has made it mandatory for all public sector institutions in awarding contracts to international software companies to ensure that they have provision to sublet contracts to local software houses, leading to transfer of latest technology of the field besides creating maximum job opportunities for the country&apos;s entrepreneurs. This was stated by Federal Minister for Information Technology and Telecommunication, Awais Ahmed Khan Leghari, while speaking as chief guest at the annual convocation of Karachi Institute of Information Technology (KIIT) on Sunday. He said that the government was contributing in its drive towards promotion of IT and effective utilisation of this technology for betterment of the nation. He said the Ministry of IT has undertaken a number of initiatives that will be instrumental in the promotion and induction of this technology in the country. 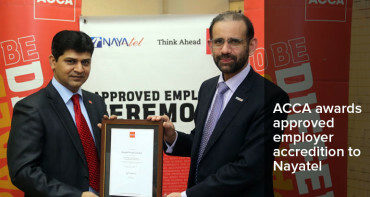 “The tremendous developments we have seen in the last few years were in consequence of the directions enshrined in the IT policy,” Awais added. He emphasised that IT studies in government, manufacturing, trading, commerce, health, education and other areas of human endeavour at present and in the future will contribute significantly to the progress and prosperity of the country and globally at large. Awais said that institutes like FAST, Ghulam Ishaq Khan Institute (GIKI), Lahore University of Management Sciences (LUMS) and Karachi Institute of Informational Technology (KIIT) are offering state-of-the-art curriculum with provision for excellent facilities, including highly qualified faculty and an environment conducive to higher education, are doing a service to the nation. Mazhar Ali Syed, Chairman of KIIT, in his address of welcome referred to efforts made by the institution to carve a niche for itself and its students in the field of IT. He also sought due consideration on the part of the government to remove impediments observed in the development of IT sector, to its optimum potential in the country, due to varied national and international factors. Later, Awais Leghari distributed medals to the students who had acquired first position in their final degree awarding examination. Elahi Bux Soomro, Dost Muhammad Faizi, Professor David M Hall and others also present on the occasion.